Lana (Lana, also in German) is the seventh largest municipality in extension of the province of Bolzano and is located at the southern edge of the plain of Merano, along the banks of the valley of the River Adige, in a particularly strategic location, protected from cold winds and characterized by a mild climate. This position allowed not only a flourishing cultivation of fruit trees (especially apples), but also the development of a touristic resort, suitable in all periods of the year. It is beautiful and picturesque location, embellished with castles and churches, connected by beautiful trails, the local traditions of producing excellent wines, excellent cuisine and the splendid natural landscapes, almost fairy-style, complete the picture of this centre, open to tourism in all seasons of the year. Relics from the Stone Age, found on the hill Hippolytus, attest that the area was inhabited since the ancient times. 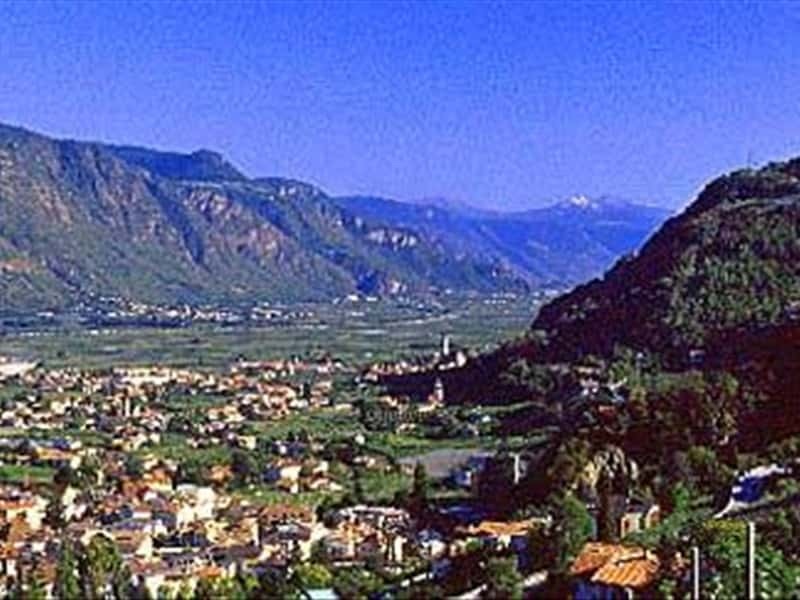 The town's name probably derives from the Latin name "Leonianum" (lands of Leo) and is documented with the name of "Lenon" in a text of 990. The major development of the urban structure was recorded in the late XIX century, when Lana, until then only a small agricultural center, dedicated its economy to the production of wine and apples, it was equipped with one of stations of the first tramway in the Tyrol, and departure station of the first passenger cable car in the World. - the South Tyrol Museum of Fruit, inside the Larchgut Family residence. This town web page has been visited 18,684 times.